Organizations of all types and sizes are looking to alternatives when it comes to creating spaces that meet their specific needs for function, design, and budget. Construction projects of any size can become complex and costly without expert, advance planning in place. Look around your community, and you will find a growing number of new buildings created with the modular construction process. In Florida, modular buildings are more popular than ever as a choice over more traditional construction. An industry survey was published in the 2016 annual report on modular.org. They surveyed 800 architects, engineers and contractors who reported shorter project schedules (66%), lower budgets (65%) and reduced construction waste (77%) by employing modular construction techniques. Advances in technology, offsite prefabrication and reduced costs have brought the idea of modular building into a competitive position as a construction alternative. More and more, Florida companies are turning to modular buildings to meet their needs. In the area of healthcare developments, new facilities must meet the latest demands for modern and green design objectives. At Affordable Structures, we have worked with customers to conquer challenges like those at the Orlando Medical Center. With the local hospital running out of space, a new out-patient facility was needed that incorporated the local architecture and accommodated the requirements of the medical staff. A 5,080 square feet, modular medical facility, was up and running in half the time it would have taken with traditional construction methods. The advantage was the synchronicity with offsite prefabrication, occurring at the same time as onsite preparation. 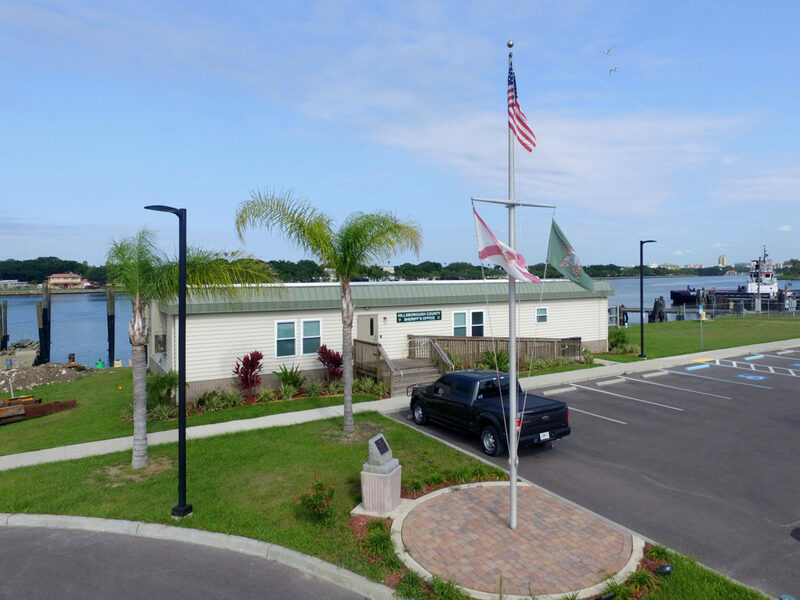 At the Port of Tampa Bay, a new marine command center was needed for the Hillsborough County Sheriff’s Office. Employing modular construction ensured that the facility met the functional and design needs of the Sheriff’s Office. The modular office building, special flooring, plus additional ramps, decks and utility connections were installed ahead of schedule and on budget, meeting the expectations of the project. Many places of worship in the state of Florida are aging and in need of repairs. Additionally, many are experiencing congregation growth. New additions can be costly and time-consuming. For some churches, like Shiloh Christian Center in Melbourne, leaders are looking for solid construction alternatives that accommodate space concerns for both present and future growth. Partnering with Affordable Structures, Shiloh Christian now has a modular construction designed sanctuary with a 12’ ceiling and textured architectural beams and track lighting. The sanctuary accommodates 500 seats, classrooms with folding walls and an additional pastor’s office and support areas. The design also incorporates a drive-through portico with roof. Shiloh Christian Center’s investment is successfully meeting their current and future needs. Modular buildings have grown in architectural excellence, technical innovation, and sustainability. Modern modular construction practices have proven to be cost effective. At Affordable Structures, our expertise has grown along with the advances in modular construction. We have successfully designed and installed commercial modular buildings throughout the United States and the Caribbean for a wide variety of customers. Consider choosing modular construction for your next project. Request a quote here or call us Monday-Friday during normal business hours at 877-739-9120.